This bread is absolutely addicting. I have made it countless times since I picked up a copy of The Pioneer Woman's Cookbook. I will make spaghetti just so I can make this bread to eat with it. Also, I seriously HATE olives. You will never see me eating olives, if they are on my salad, I pick them off or if they are in dips, I will pick them out, but for some reason I LOVE them on this bread. Maybe it is because I chop them so small that I can't taste them? Or maybe it is because the other flavors are so incredibly delicious that it makes me forget there are olives in it? Whatever the reason, thank goodness, because I would be missing out if I would have chosen to never make this bread. From one "Olive Hater" to another "Olive Hater" don't be afraid of this bread. I promise if you just give this a try once, you will be hooked. I have changed the recipe quite a bit from the original to match my taste. The original recipe uses pimiento-stuffed green olives, but I prefer just the plain pimientos. I also added some Parmesan cheese and garlic powder to give it a little better taste. Finely chop the black olives and pimientos and add to a mixing bowl. Add the butter, Mayonnaise, Monterey, Parmesan blend, salt, pepper and garlic powder; stir well to combine. Slice french bread in half lengthwise. Spread both halves evenly with the olive mixture. Place on a baking sheet and bake at 325 degrees for 20-25 minutes or until the cheese is melted and beginning to brown. Cut into slices. Serve with spaghetti or lasagna. 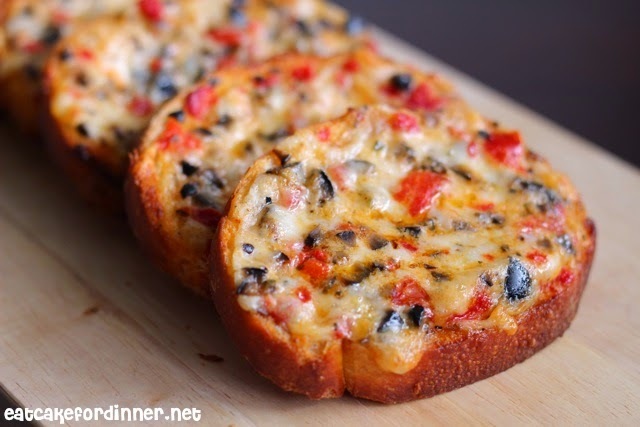 Or, slice french bread into individual slices and spread the olive mixture over each slice. Place slices on baking sheet and bake at 350 degrees for 10-15 minutes. Broil a few minutes at the end to brown the cheese. I don't like olives either, but I'd give them a try in this bread. It looks very good. I love olives! And I personally don't think you can go wrong with cheesy bread. :) Can't wait to try this! There you go again...making my mouth water! This looks so yummy! I'll have to try it. When you say "1 cube butter" how much butter are you talking about? Is it one stick which is 1/2 cup, or 4 sticks which would be a whole pound, or some other amount? I don't think we have butter in cubes here in Massachusetts! 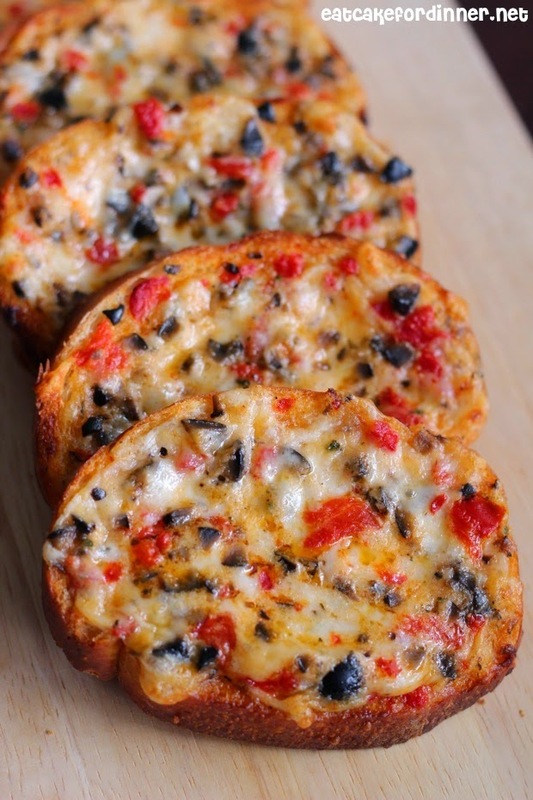 This bread looks like something my husband would love and I want to try it! Oh, thanks for pointing that out. It is one stick (1/2 cup). I grew up calling a stick of butter a "cube" of butter, but I try to not use that on my blog, because no one knows what amount I'm referring to. I'll go update the recipe now. I hope your hubby likes it as much as we do.